Do you like Ranch Style homes? Especially if it’s all on one level? We’ve got just the thing. 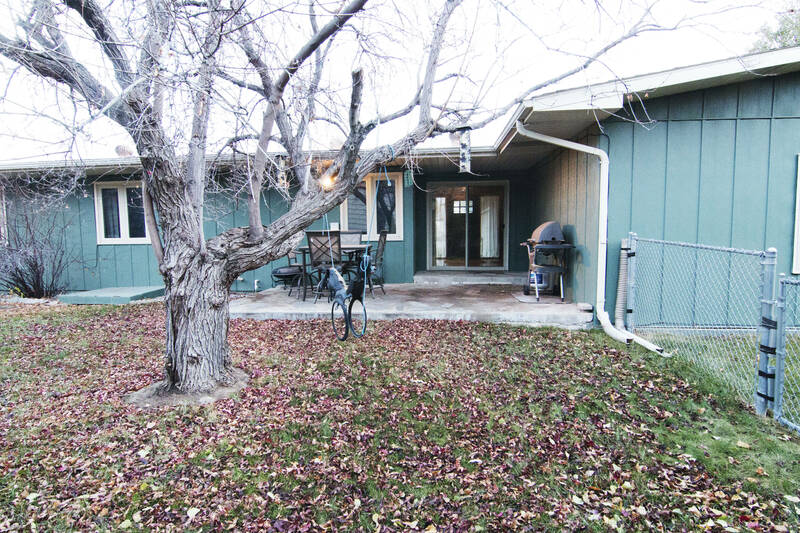 Situated in a quiet area of the Sierra Glenn neighborhood you’ll find 120 Overland Trail. From the outside the home looks very quaint and cute. 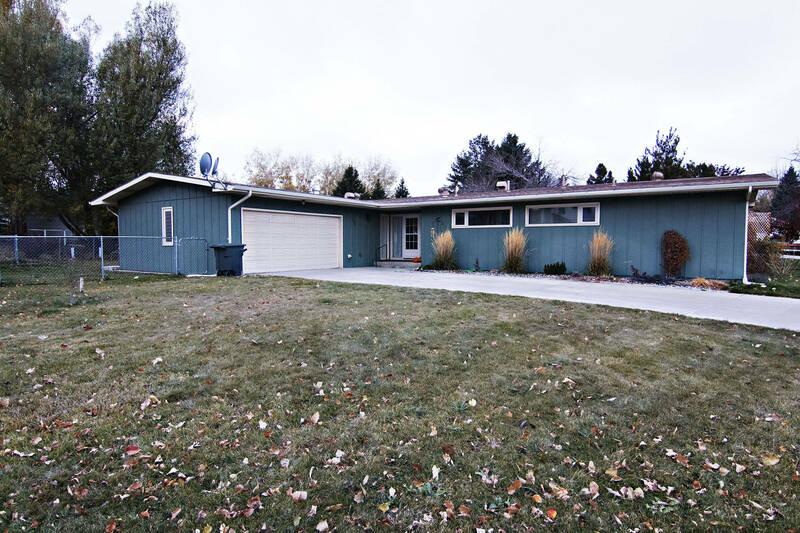 It sits on a large 0.27 acre lot that is decorated with mature flowering trees and bushes. Not only is there a large front yard, but the fully fenced backyard offers a great space for the kids and pets to play. There is also a patio at the back of the home, a perfect space for entertaining. This home feels larger than it is, featuring 3 bedrooms and 2 bathrooms within 1,536 sq ft. 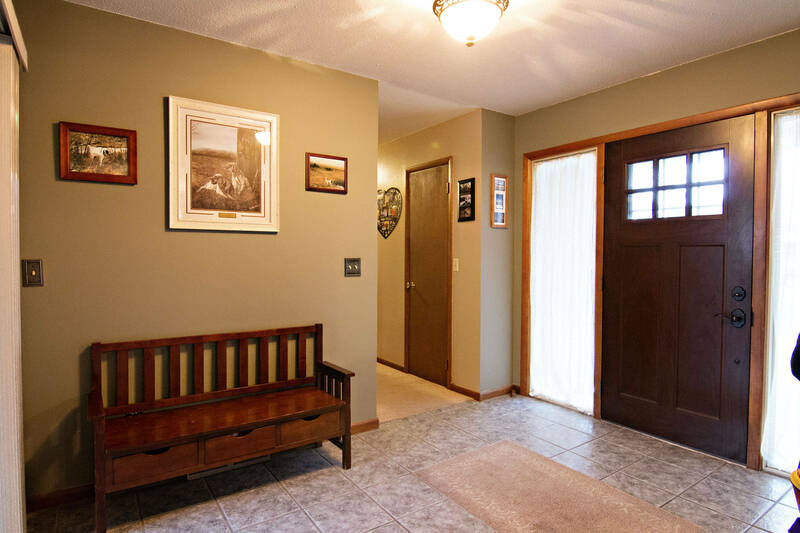 Upon entering the home you’ll find an amazing floor plan with a large entry way. You’ll notice the home is full of character, especially in the sunken living room, boasting vaulted ceilings with dark exposed beams. 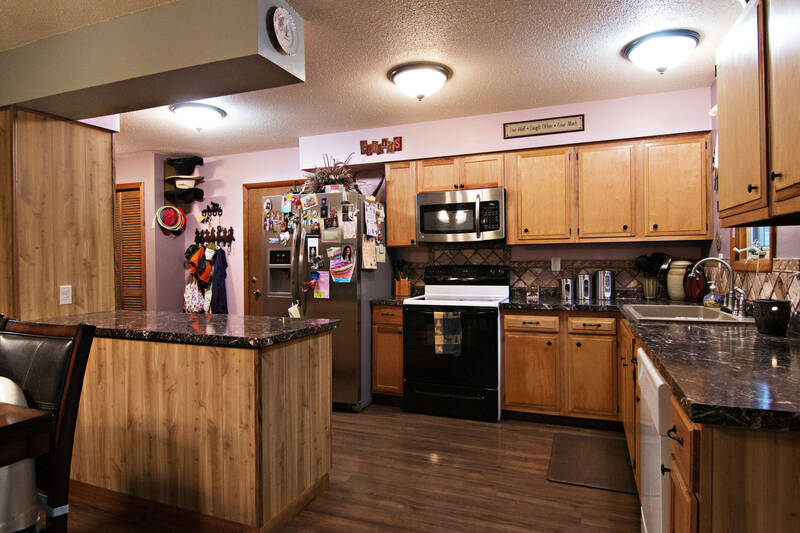 The spacious kitchen features many updates like new flooring, refinished cabinets, new counters, sink and back splash. Built-in cabinetry give you plenty of extra storage, too. 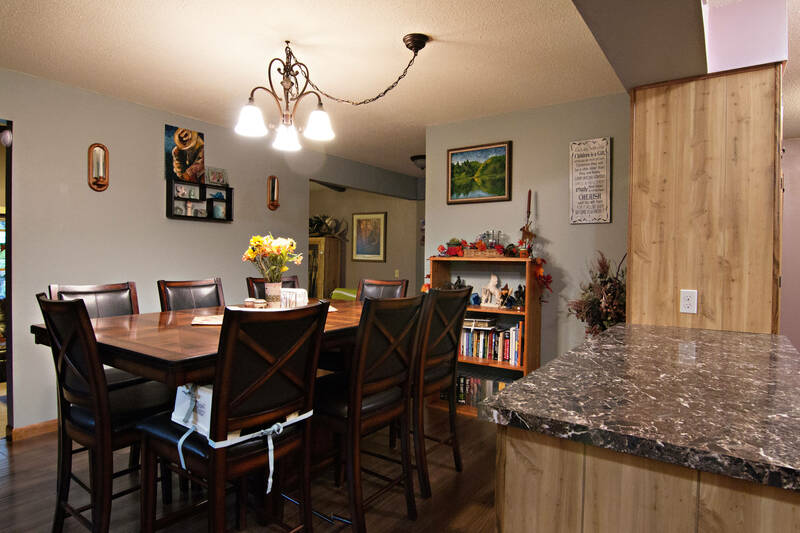 The kitchen opens right up to large dining area, so there’s plenty of space to move. Both of the bathrooms have been tastefully updated and all of the bedrooms are great sizes. The master bedrooms sits at the end of the home and features two closets for your convenience. The attached two car garage is an added bonus and meets any needs for some extra storage space. 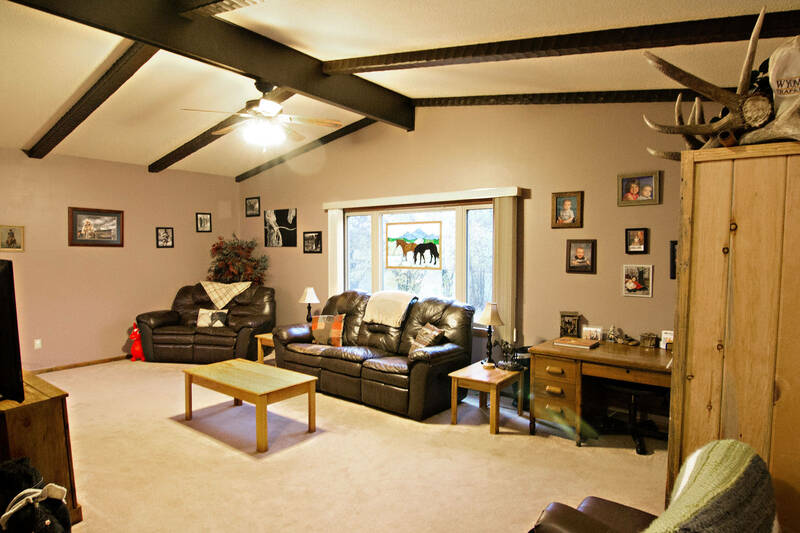 So if you’re looking for a ranch style home full of character then schedule your showing today! This is a great home and it won’t be on the hunt for a new family for too long! © 2019 Campbell County Board of Realtors, Inc.-MLS. All Rights Reserved. IDX information is provided exclusively for consumers' personal, non-commercial use and may not be used for any purpose other than to identify prospective properties consumers may be interested in purchasing. Information is deemed reliable but is not guaranteed accurate by the MLS or Team Properties of Gillette. Data last updated 2019-04-20T12:32:26.727.